The 16-year-old who raped and murdered Alesha MacPhail has been sentenced to a minimum of 27 years behind bars after he finally admitted his crime. The judge read out Campbell's "cold blooded and horrific" account of his actions that night and how he described seeing Alesha asleep in her room as "a moment of opportunity". 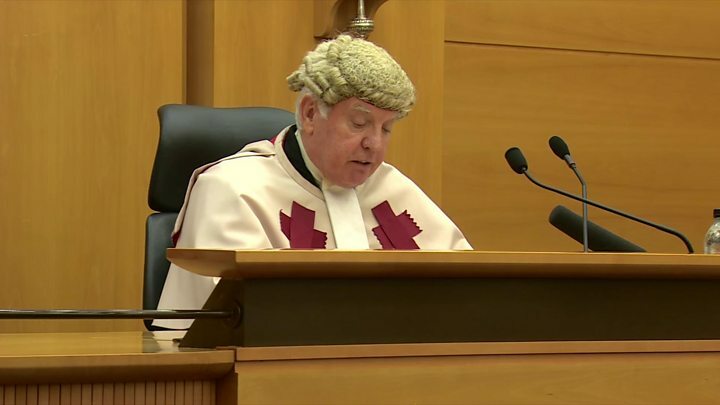 The report by the forensic clinical psychologist Dr Gary Macpherson quoted Campbell as saying: "At any other time in life murder would not have been the conclusion. "If I was a year younger I don't think I would have done it. In his sentencing statement, the judge said the teenager had shown breathtaking arrogance during the trial and had failed to plead guilty despite overwhelming evidence against him. "Not once did I detect a flicker of emotion from you," the judge said. Lord Matthews said it would be for others to decide if Campbell would ever be released, indeed, he said his reintegration into society might be "impossible". The judge said this was a "cruel travesty of the truth" and said the woman he blamed, Toni McLachlan, was "completely innocent". The judge said he was "shocked" by the clear admissions of guilt in the background reports, especially after the "tissue of lies" Campbell had told in court. The psychologist said that on the night of Alesha's death Campbell had been drinking and wanted cannabis so he decided to go into her father's home to get some. 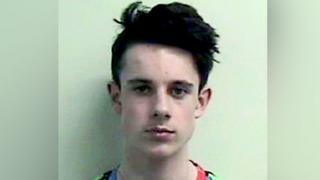 Alesha's father had previously sold him the drug. In his sentencing statement, Lord Matthews said Campbell had carried Alesha to a secluded spot where he raped and murdered her "in the most brutal fashion". He told the teenager: "You said that Alesha was drowsy and became a bit more awake when you went out. "At one point she asked who you were and where you were going. Campbell gave Alesha his coat because she was cold. The judge said that over the next few days Campbell was unconcerned about what had happened, and was "slightly amused" that the police had not caught him. The judge said Campbell told Dr Macpherson that at points during the trial it took "everything to stop laughing" and he had to "zip his mouth". Lord Matthews said the reports concluded that Campbell was not suffering from a mental health disorder but showed a total lack of victim empathy.